My name is Guillem and I am from Spain. 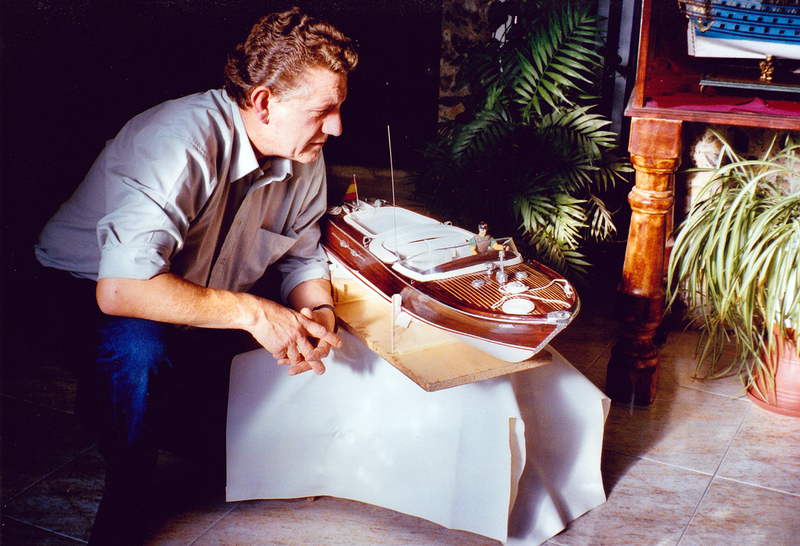 I have been interested in scale models since I was a child, starting to build my first model kits at the age of 8, I have always had great teachers; my father and grandfather who showed me since little their fantastic wood ship models and the different kind of techniques. 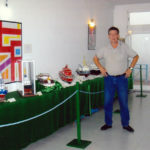 In the year 2005 I opened my first Website which at that time was focused in 1/12 scale motorcycles. 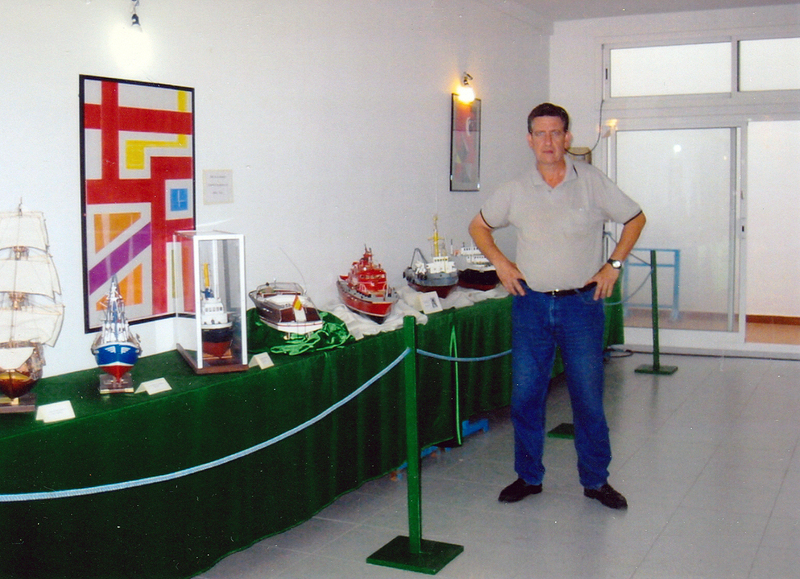 That became a new way for me to share with people around the world my enthusiasm for the scale models. 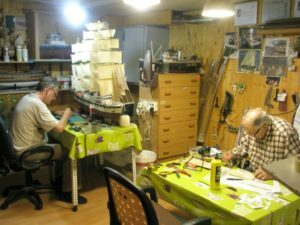 Since I was eight years old I begun to build plastic kits mostly of racing motorbikes (at the same time observing my father building some military stuff) then in my teenage building some cars and lastly some commercial airplanes before starting to build military models. 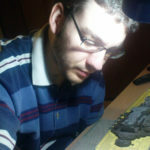 I have started some long term-near-abandoned projects such as the Yamato, which became my second battleship model after I finished the USS Missouri back in 1999 at the age of 11. Although in the recent years I am mostly focused in civil airliners, I enjoy building any kind of scale model. 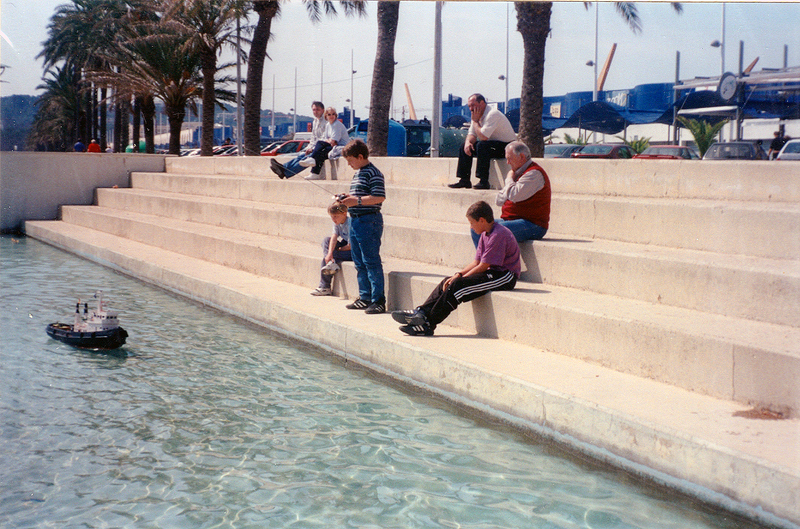 Father and grandfather, Summer of 1993. 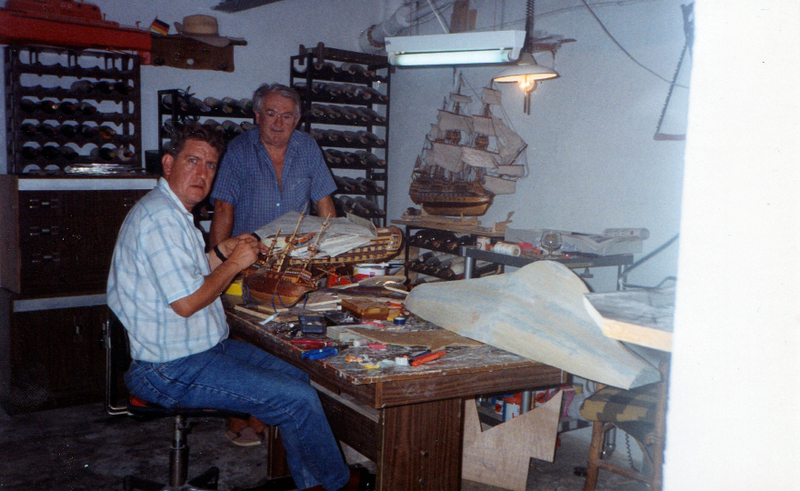 An old and reformed stable at grandparents home is where we make our models. 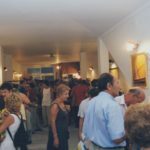 The place has changed its distribution during the last 20 years. 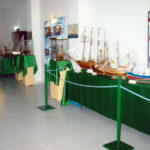 It was needed to adapt the place according to the new tools and equipments that were acquired over the years and also to the different style of ships models. 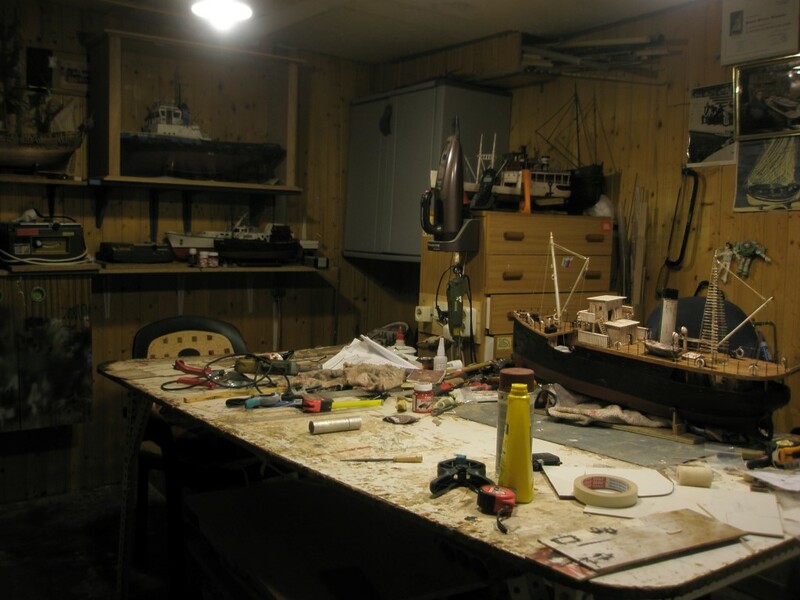 On the right side of the photo, the RC ship “Earl Sigurd”. Summer of 2013, because of the different constructions, separate and adjustable tables were made in order to work more comfortable. In the end this system was changed again back to one single table. 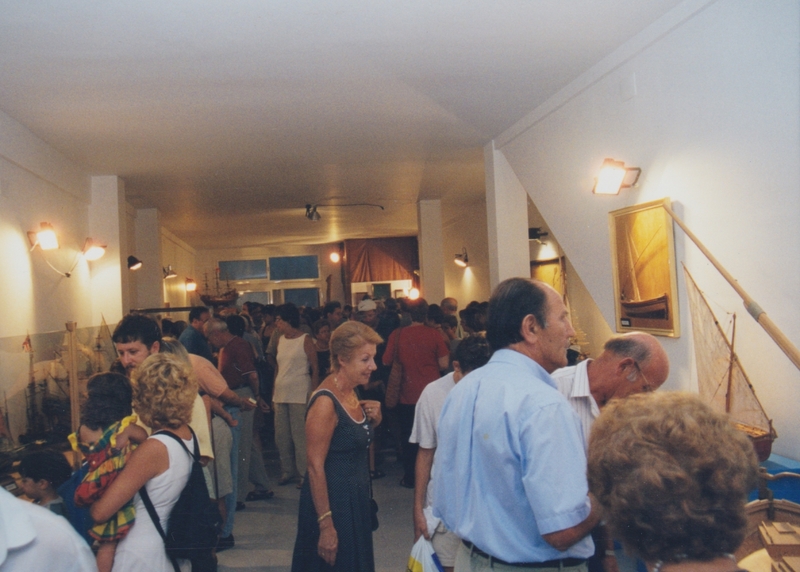 During the last decade we made friendships with people of our region with the same interest, allowing then the creation of an association (nowadays dissolved) that made possible several exhibitions held in our location as well as in the near biggest city; being these two rooted in the fishing activity, also several naval elements were always present. 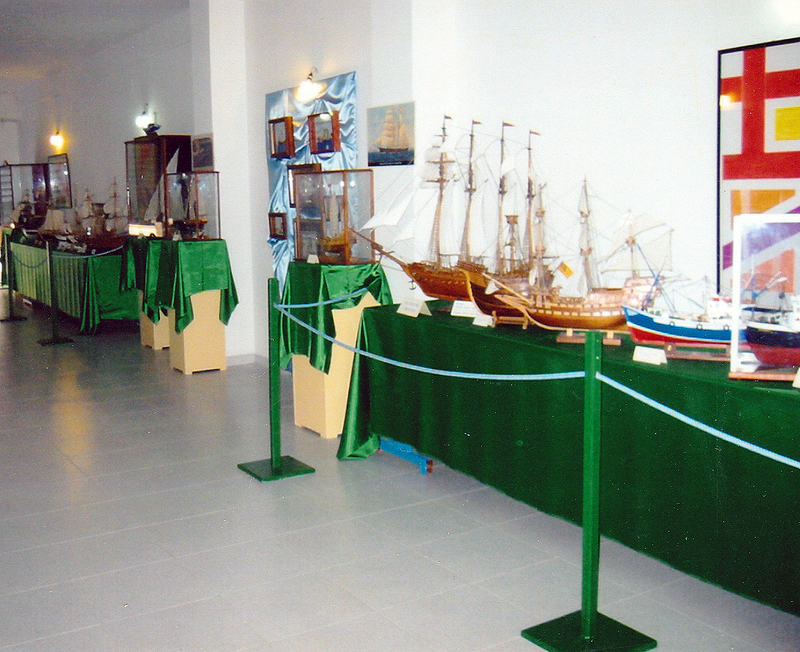 RC (Radio Controlled) models stand in 2003 exhibition. 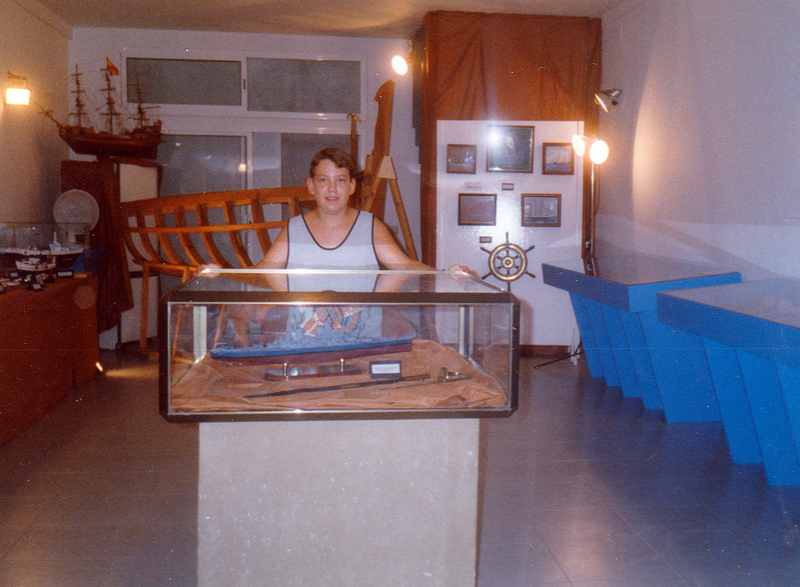 My first battleship (USS Missouri) built back in 1999. 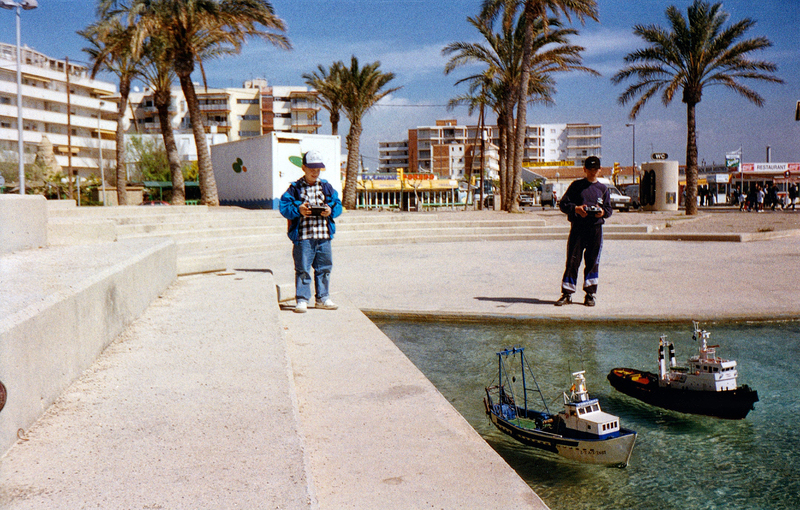 1995, Uncle on the right side and me on the left side, both radio controlling the replicas of real trawler ships “Tortosina” and tug ship named “Poblet”. 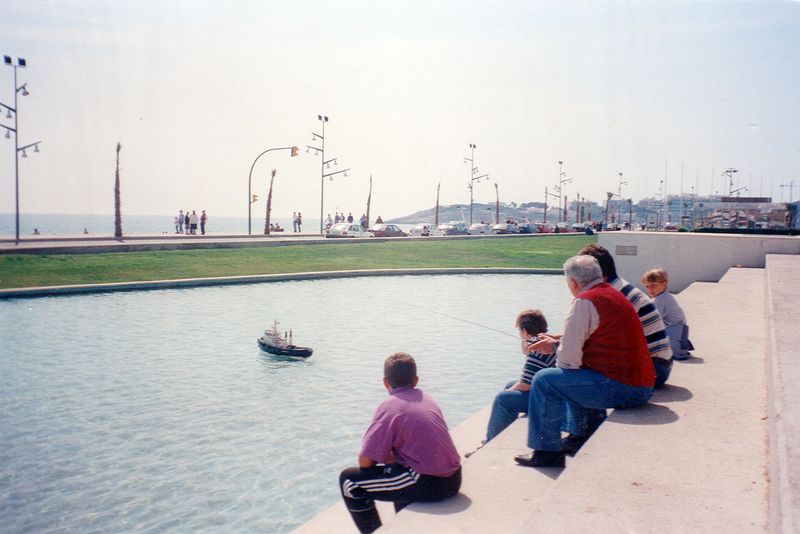 April 1999, radio controlled ship “Poblet”. 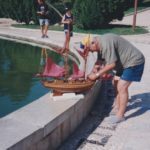 Although grandfather only built radio controlled ships in the past in just few occasions, father liked always to build radio controlled ship models. 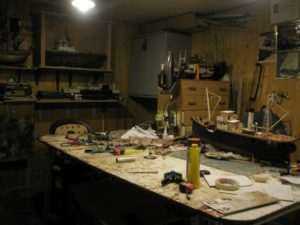 Most of these creations are builds based on a blueprint instead of a kit although this is a technique that has changed during the last years due the different brands producing these kits, however the creation of radio controlled ships by using blueprints is still in use. One of the major differences between blueprint ships and kit ships is that creating a ship by blueprint you begin from point zero while ship kits usually have a pre built hull and include all the parts needed for its construction. 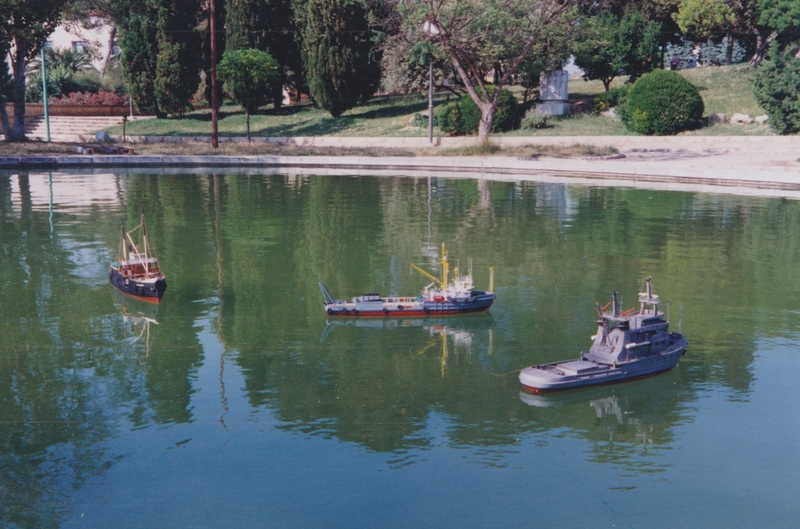 Some of the older inspirations for radio controlled ships have been the trawling boats of the Mediterranean sea as well as tug boats. In the latter years ships such as Smith Rotterdam, PT 171 and Riva Aquarama (all from kit) were built with the possibility of being radio controllable. 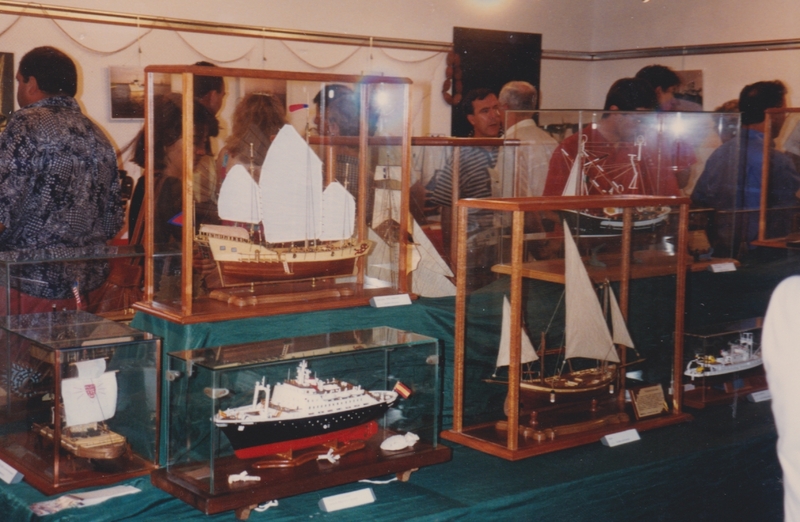 Inside the radio controlled ships category we can find different kind of ships. 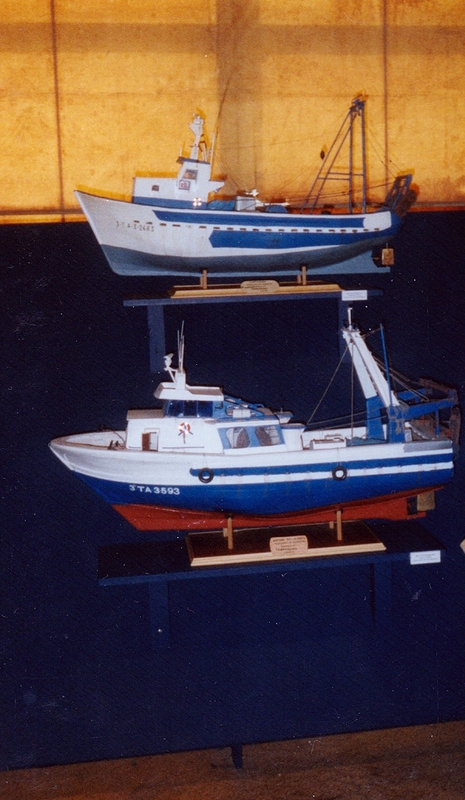 Two replicas of real trawling boats in 1/16 scale radio controlled exposed in the fishing district museum. Above ship “Tortosina” made by Guillermo Roca. Below ship “Antoni de la Creu” made by José Oliete. 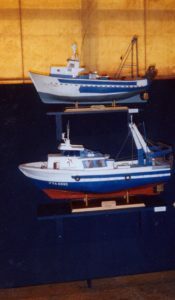 Both models built in 1996. 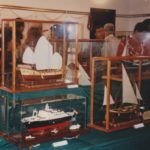 Different kind of RC ships have been created during the years, at the beginning making bigger and heavier RC ships and in the later years creating RC ships of a smaller size and a more fine work with the wood. 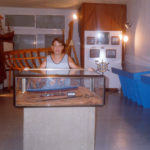 2001, on the left side the cargo ship “Earl Sigurd” made by grandfather, in the middle another cargo ship (newer in time than Earl Sigurd) named “Holstentor” created by our deceased Belgium friend Henry Eeckels. Both ships made from blueprints. 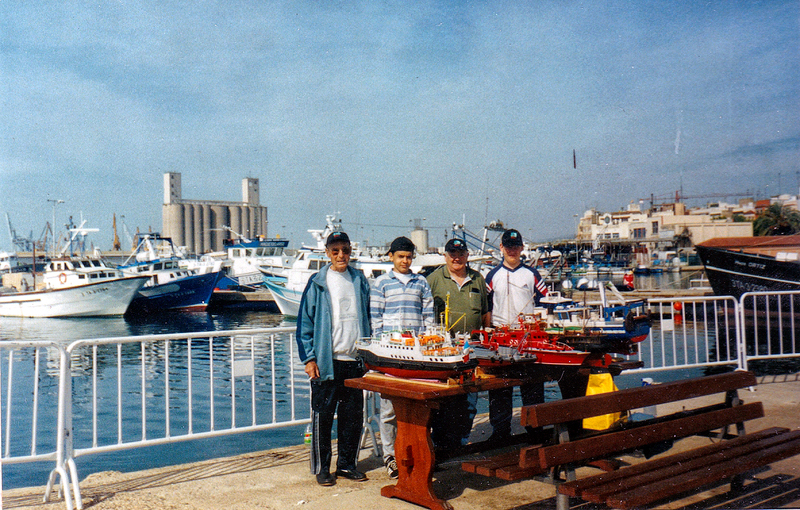 On the right side a kit made built by father, a tug ship named “Tenaz”. 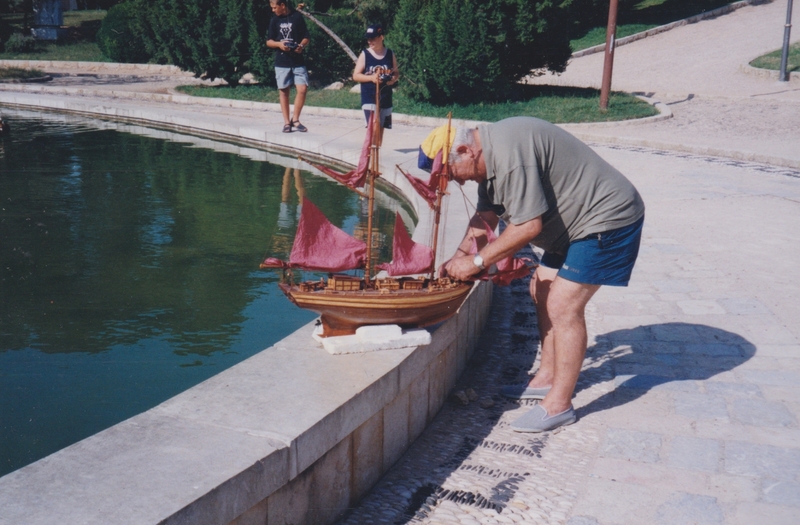 2001, grandfather preparing the ship “Thalasa”. 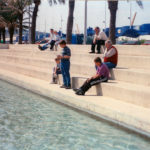 Photo taken in 2001, in the background the port of Tarragona city with the trawling boats. 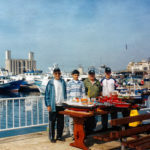 In front and from left to right, Henry Eeckels, a friend of mine, my grandfather and me. 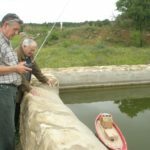 In the latest years we haven’t used RC ships so often as before, however father still makes RC ships from time to time; one of his last creations is a Majorcan fishing ship. 2014, this is the moment when the ships meets the water for the first time. Weight adjustments are sometimes needed. 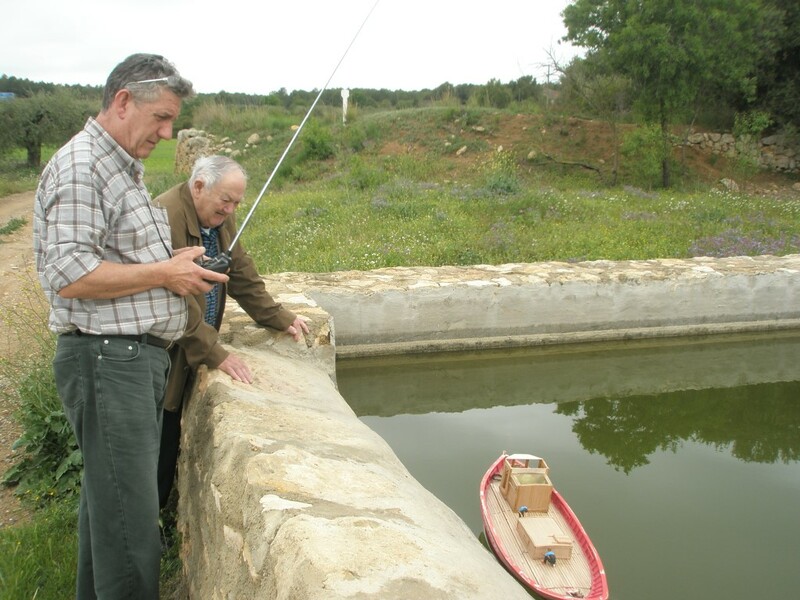 There are not many places to navigate with the RC ships, however an old reservoir of a field is the perfect place to test the ships. 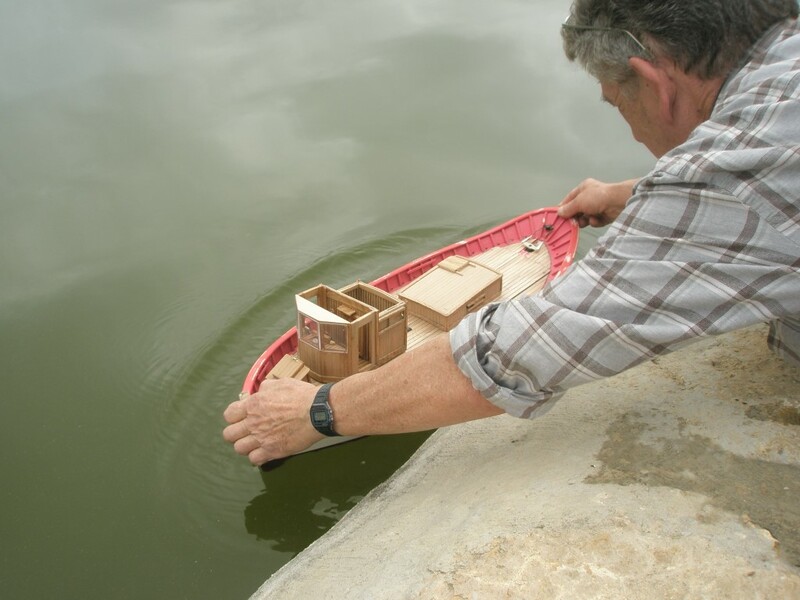 Practically all the times we navigate the RC ships, we do in lakes, or bigger fountains from our near city, only navigating them in few and special occasions. 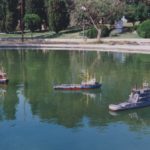 Although several radio controlled ships have been created during these years, the tendency has always been to create more static or display models than RC ships. Some of the ships that have been built vary from ships of the 1700’s to the last decade. 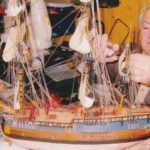 The process of adding the different cords in the ship is complex and long. 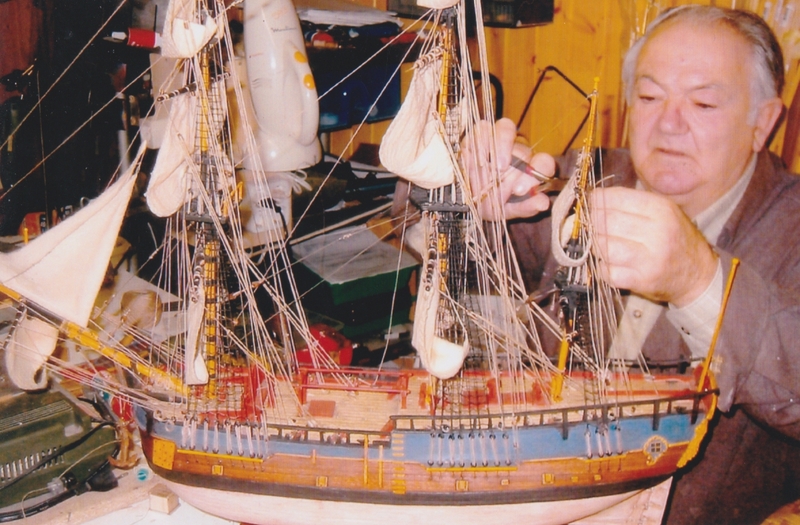 2003, Here grandfather is adding the cords to the “Endeavour”. 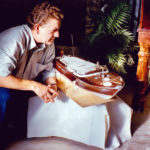 2003, model kit Riva Aquarama built by father. 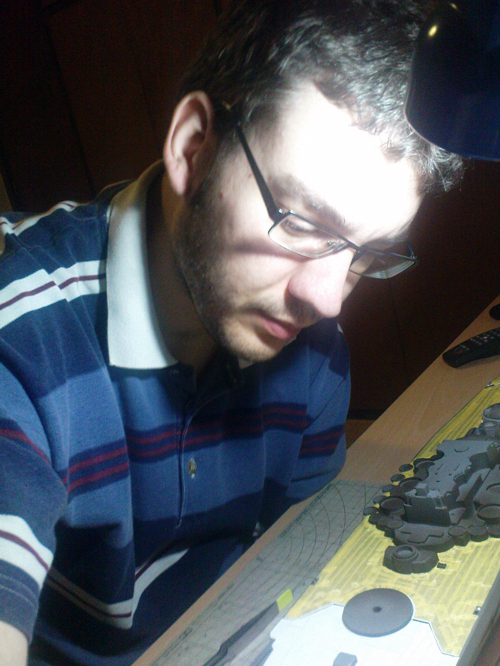 2013, me building the battleship Yamato. One of the later bigger creations of father is this replica ship of the Royal Clipper, started in 2010 and finished in 2013. Although its big size, it is not a radio controllable ship. 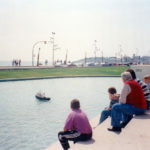 Its measures are: 1,80m long and 1m high. 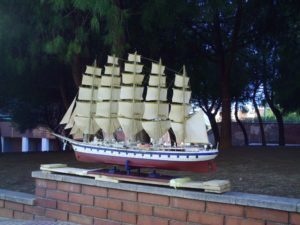 The construction of these models are difficult, because like in the trawling boats created in 1996, there are no blueprints or kits made of these ships so it required the use of a similar blueprint and build the ship by reference photos. Here it was transported to uncle’s home. With time we learned techniques and in some plastic model kits we make use of photo etched parts which increase the enjoyment of building these models. 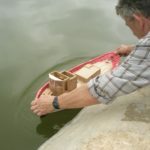 For that I think that in the future more plastic models will be built leaving the hard work with wood to a (at least) one model per year and/or constructing both styles at the same time. Never abandoning our passion for modeling, ships are not the only subject as more and more often father builds military stuff such as tanks besides the wood and plastic ships. 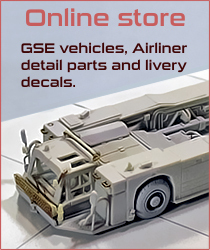 From my part, my favorite subjects are: civil airliners in 1/200 or 1/144 scale, tanks in 1/35 or 1/72 scale, 1/350 or 1/700 battleships and since long time ago, 1/12 scale motorcycles. Abandoning a little bit the motorcycles in 1/12 scale, which is ironic as the beginning of my first Website was focused in that subject, but years change and modeling tastes do as well. At this present time being it the beginning of 2018, the subjects I focus more often one are; the 1/200 and 1/144 airliners and even though I only made a few; the 1/35 tanks, just leaving the 1/350 battleships to that special project I have started a long time ago.